Have you ever seen one of those movies where a kid wishes he was an adult and wakes up the next morning as one? The Freeform series Beyond, starring Burkely Duffield, is a sci-fi variation of that idea. Burkely, who had previously starred in House of Anubis, plays Holden Matthew, who, as a child, was plunged into a coma. Awakening 12 years later, and having grown up without the normal life experiences, he also must deal with the fact that he has acquired bizarre powers, and that he finds himself the bridge between Earth and the otherwordly Realm, which in itself serves as a bridge between life and death. As Beyond returns for its second season on January 18th, we sat down with Burkely for this exclusive one-on-one interview to take an inside look at the new year, and the impact the series has had on his life. J-14: How would you say the character of Holden has evolved from when we met him to where he is in season two? J-14: Given what Holden went through, it would seem that in playing the character, you’d really have to tap into a sense of innocence. J-14: In season two, how would you say the relationships between Holden and the people around him are changing? J-14: As things go on, do you feel that Holden will reach a point where he starts to view himself as something of a superhero? 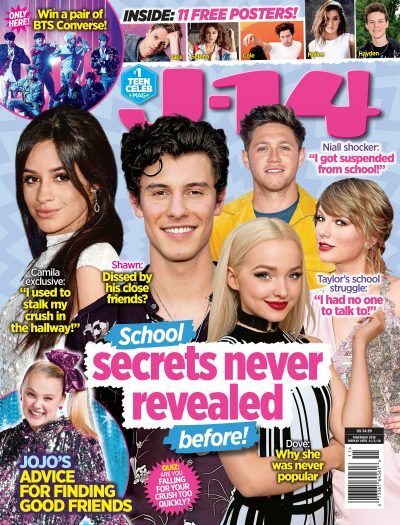 J-14: What kind of impact has the success of the show had on you? J-14: Is the science fiction genre something you’re a fan of? J-14: What kind of feeling was it to go from being a guest star or a supporting player to the leading man on a television series? J-14: When you decided to become an actor, how tough was the journey to get there? Beyond airs Thursday nights on Freeform.